Here at Harmony, our mission is simple. We provide individual encouragement and support to adolescents and adults with various levels of Developmental Disabilities in order to lead to harmony and balance in their daily lives. As we do this, we place a strong value on creating a culture of Safety, Harmony and Balance, Independence, Personal Growth, Community Service, Inspiration, and Person Centered Care. We are proud of who we serve and how we serve them, but we need your help. Harmony Day Support is a 501(c)(3) nonprofit organization that relies in part on the generosity of others to provide quality day support to individuals with developmental disabilities. Will you consider making a donation today? 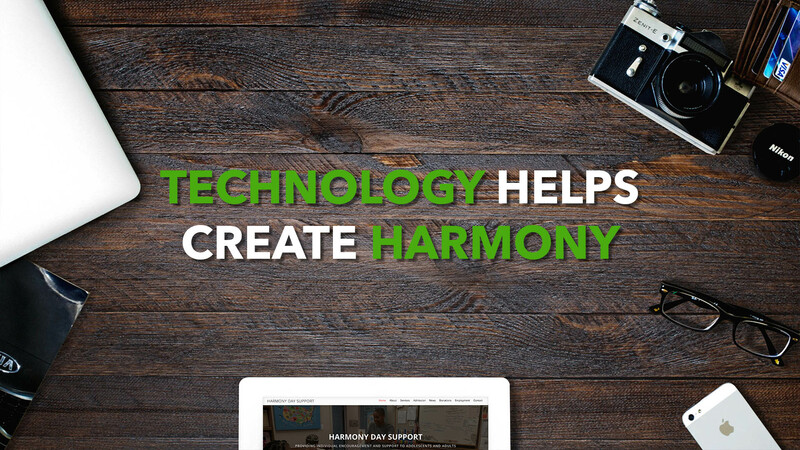 Technology helps create harmony. Studies show that the use of technology helps to promote interactive learning and sensory development in the community we serve. Because of this, Harmony Day Support has started an initiative to raise enough funding to purchase handicap accessible desks, iPads, computers and printers to create a computer lab on our campus. This will help the community we serve as well as our staff as they create daily activities and lesson plans for our individuals with developmental disabilities. At Harmony Day Support, we so appreciate and rely on the generosity of our community as we continue to provide individual encouragement and support to those with developmental disabilities. We know life is busy! Between paying bills, running errands, and remembering birthdays and anniversaries, giving can easily get put on the back burner. The truth is, it doesn’t have to be this way. You can schedule your next gift in two minutes or consider making a monthly donation to help us serve others. We are proud to have your support and we will take it how ever you can give it. You can donate used vehicles, craft supplies, furniture, marketable securities such as stocks, bonds or mutual funds or even include Harmony Day Support in your estate planning. To make a non-cash donation, contact the Harmony Day Support front office today.